I don’t know what it is about makeup but it can be annoyingly tricky to keep organized. Luckily, all it takes are just a few simple storage solutions. 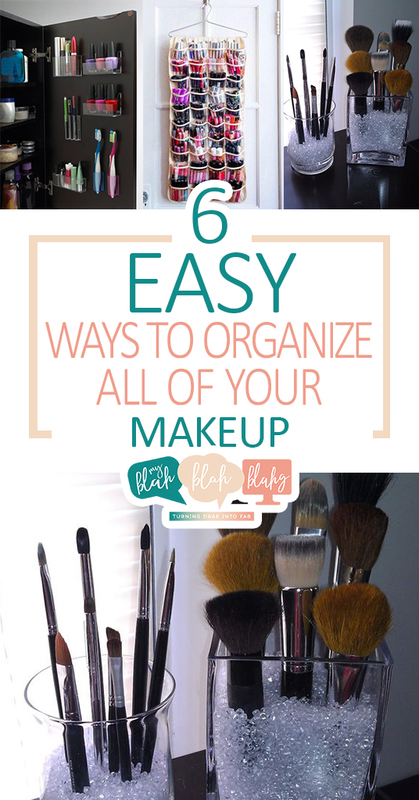 Here are 6 ideas to help you keep your makeup made up. 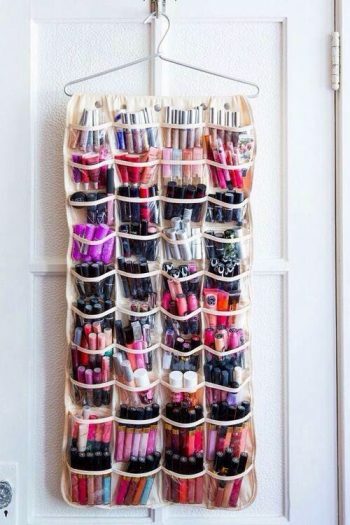 Use shoe organizers to compartmentalize your makeup by type, size, and/or color. Can’t get much easier than that! Idea found Organization Junkie. Keep your brushes organized by filling your favorite glass jar with vase pebbles. Goodbye bent bristles! More details from JMC Creations. Mason jars are such a perfect way to keep your things organized without ruining the look of the room. You can either keep the jars on the counter or mount them on a wood base or similar. 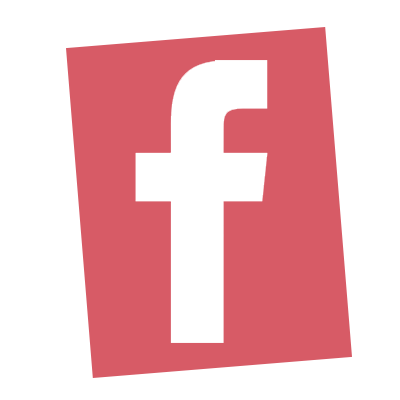 Find idea here. Mason jars not available? No problem! 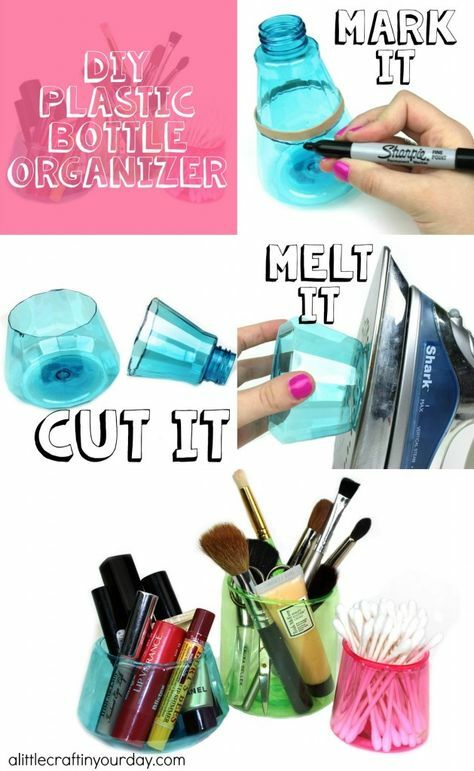 Just grab some plastic bottles lying around the house and repurpose them into makeup containers. The colors make things fun! Hero has more info here. I love this idea! 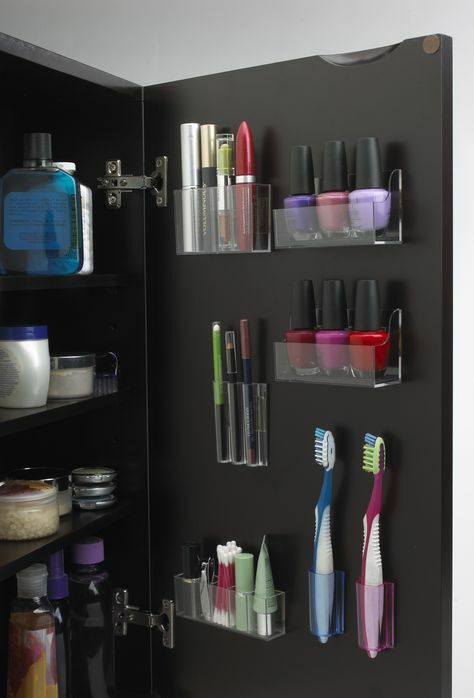 Use wall mounted nail polish holders on the inside of cabinets to keep your makeup out of sight but oh-so-organized! 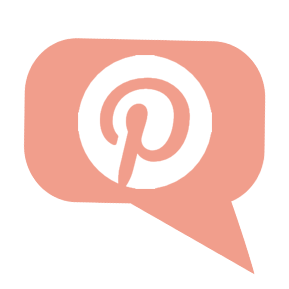 Find your perfect wall mount from Favor Displays. 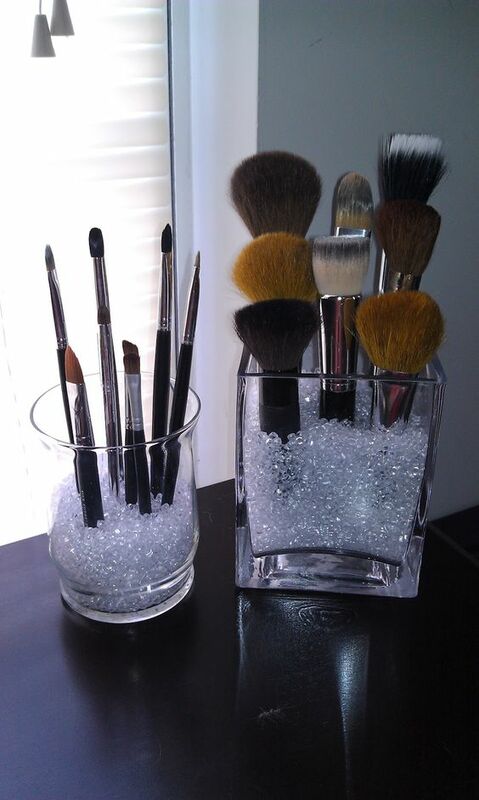 Here’s another great idea to take care of your makeup brushes. Just take a sushi mat, some elastic, and a needle and thread. How nice would this be for traveling?! Handimania shares the tutorial here.